Paper HeARTIST: What's better than a FREE stamps set? TWO Free stamps sets! What's better than a FREE stamps set? TWO Free stamps sets! 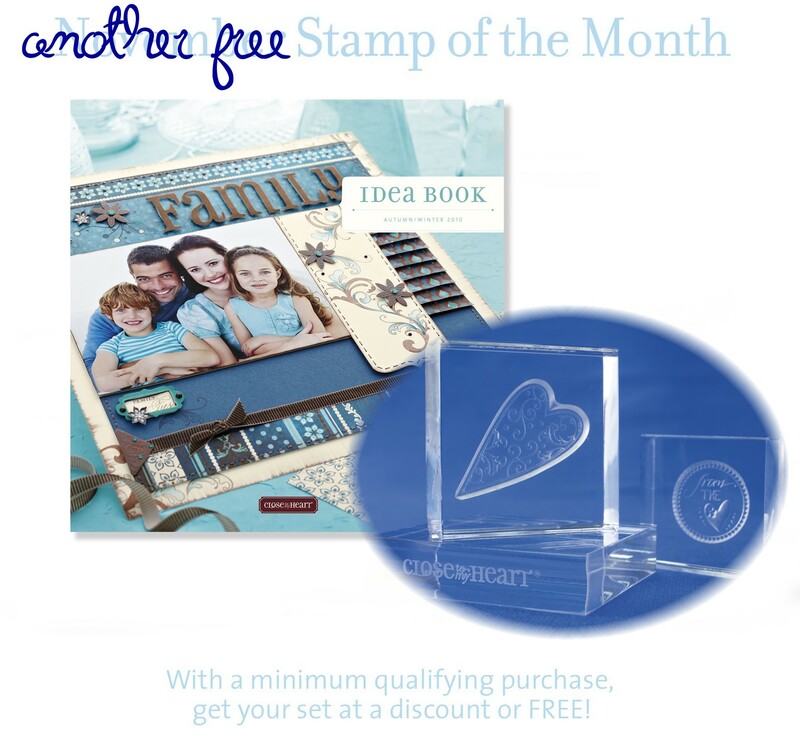 During November Close To My Heart is expressing their gratitude to you by helping you earn two fabulous My Acrylix® stamp sets for FREE! When you place a minimum order of $100, you will not only receive the November Stamp of the Month set, "A Little Thanks" for FREE, you will also receive one stamp set of your choosing from the 2010 Autumn/Winter Idea Book for FREE*! This means you can increase the value of your purchase by up to $45.90—that’s almost 50 percent more in value! It’s just CTMH's way of imparting A Little MORE Thanks to you for being a great customer. Simply go to my online store and get rewarded for shopping! *Free stamp sets include A-D size sets. Stamps that are not available as the free set include Workshops on the Go,™ Stamp of the Month retail, E-size, and customizable K-size. Tax and shipping/handling may apply. Offer good November 1–30, 2010.